Healthcare professionals working at laboratories are always looking for better ways to collect and analyze patient lab form data. Increasing desire among patients to receive more sophisticated healthcare services and the growing demand for advanced integrated healthcare systems create the need for efficient and error-proof tools to process patient lab test request forms. Given the amount of data contained in a typical lab form, especially when it is filled out by hand by the requesting doctor, ensuring that the process of collecting these data and ascertaining their correctness is seldom smooth and straightforward. Add to this the required step of integrating these data into your Lab Information System (LIS) for processing, and you have an even bigger problem on your hands. The iGuana Intelligent Lab Form Processing Solution is designed to address these challenges. It is based on TeleForm, a widely used and time tested form recognition software trusted by the most sophisticated laboratories worldwide. TeleForm uses advanced Optical Mark Recognition (OMR) technology to recognize data contained in lab test forms, including, most importantly, the requesting doctor’s handwritten marks / notes. Collected data are then submitted to your LIS for processing and lab forms automatically archived. The iGuana Intelligent Lab Form Processing Solution combines all the necessary steps to ensure that lab test requests are properly scanned, data contained therein are collected and verified to ensure they are 100% error-free, and that your LIS receives proper instructions to execute the requested lab tests (including in fully automated, high-volume laboratory environments). The solution is fully scalable, irrespective of whether your lab processes hundreds or tens of thousands of orders a day – you can easily add more scanners, more processing power and additional lab sites. With the Intelligent Lab Form Processing Solution you can easily create new forms and new versions of forms using the high-standard WYSIWYG TeleForm Designer module. Forms that you design and create in the Designer are automatically recognizable by the scanning system. You can even create personalized forms by pre-printing requester/department information on them, making them easier for the doctors to fill out and for the scanning system to recognize. Once a given lab test request is filled out by the doctor, it is scanned using specialized scanners provided by iGuana. Scanners are provided as part of the overall solution and in accordance with the number of forms that you need to process on a daily basis. Each form and related patient test samples are assigned a unique barcode. 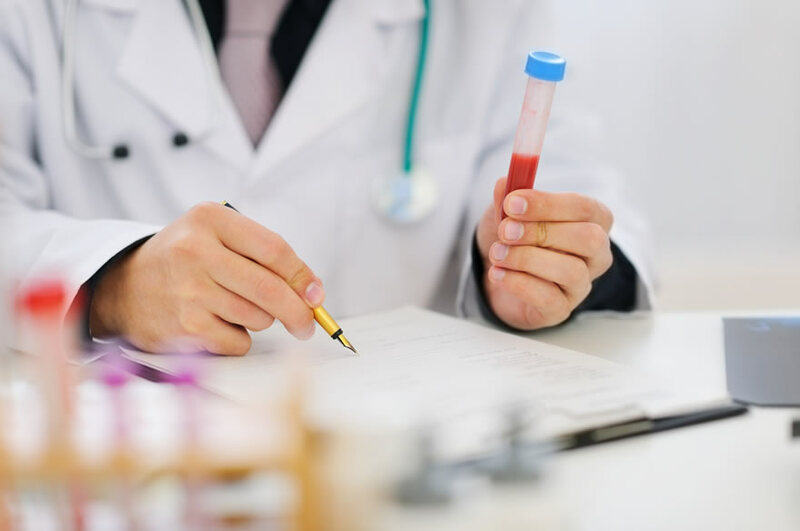 It is important, however, that the lab test request form is always accompanied by patient test samples throughout the scanning and data collection process to avoid any mix-ups. TeleForm recognizes the scanned form and determines its version (for example, if your laboratory introduces a new version of the form). By recognizing the form and identifying its version, TeleForm software knows how to “read” the form and makes it possible for you to scan different versions with no impact on data quality. Once the form is recognized and its version determined, TeleForm reads i.e. collects data contained in the form using advanced OMR. In the event that the software cannot recognize the markings made by the doctor, a responsible lab staff member is alerted to interpret them and ensure that no error is made. With over a decade of hands-on experience integrating with LIS, iGuana has developed standard connectors to most lab information systems, such as Glims, Labosys, Molis, Corlabs, to name a few. This gives our solution the unrivaled advantage of being able to easily and efficiently submit collected lab form data to your LIS for further processing. Today’s modern technology implies high demands to service your lab’s customers, for instance via Electronic Ordering. With the Intelligent Lab Form Processing Solution, you can put your request forms online, allowing for advanced electronic ordering of clinical analyses. Once all data are submitted to your LIS, the complete scanned lab test request form is archived in the iGuana iDM Document Management Solution for Healthcare. Archived forms can be easily retrieved, when required, by authorized members of your staff. Create an intelligent lab with iGuana.